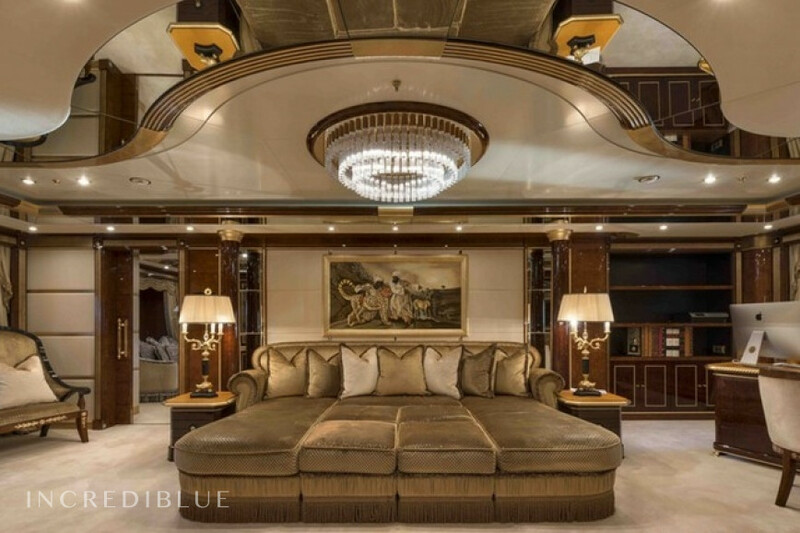 This 62 meter (203ft) Benetti motor yacht is comprised of a steel hull with an aluminum superstructure. 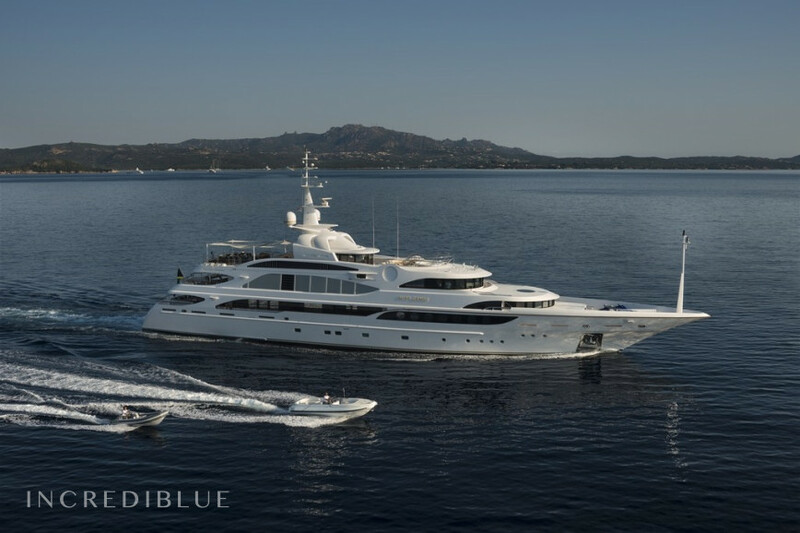 She was built to comply to BV, MCA and ABS A1 E AMS MCA standards. 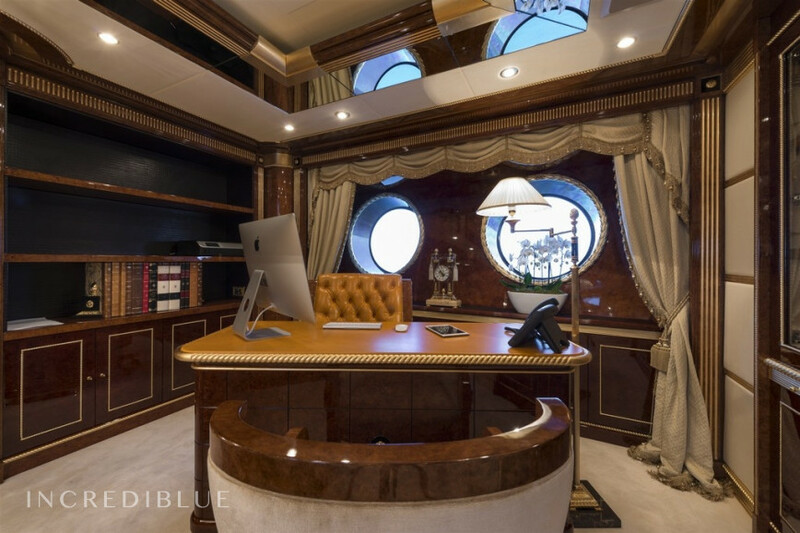 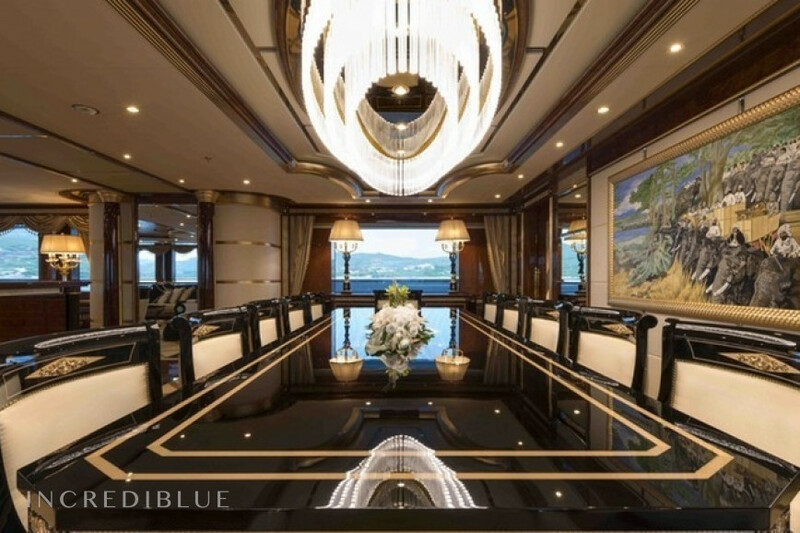 Notable features include: an elevator which accesses all of the decks, Quantum at Rest Zero Speed stabilizers, an air-conditioned or open air gymnasium, a baby grand piano, a beach garage, a fuel efficient bulbous bow and a helicopter landing pad. 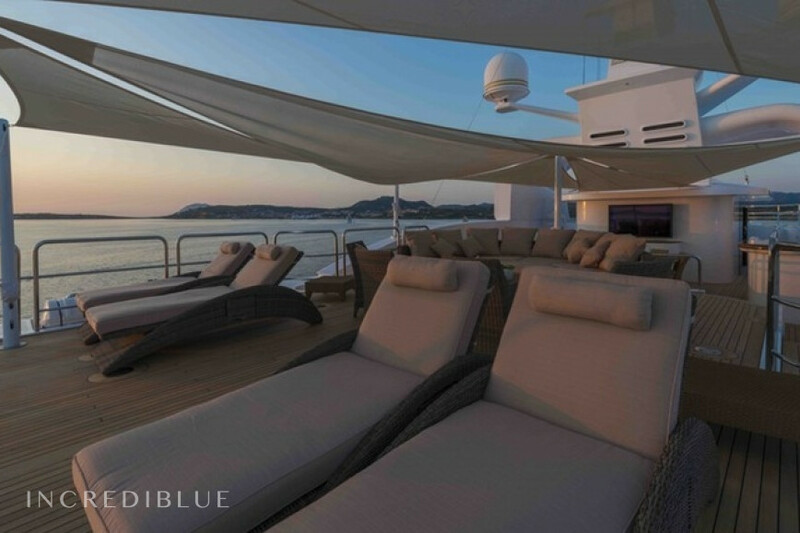 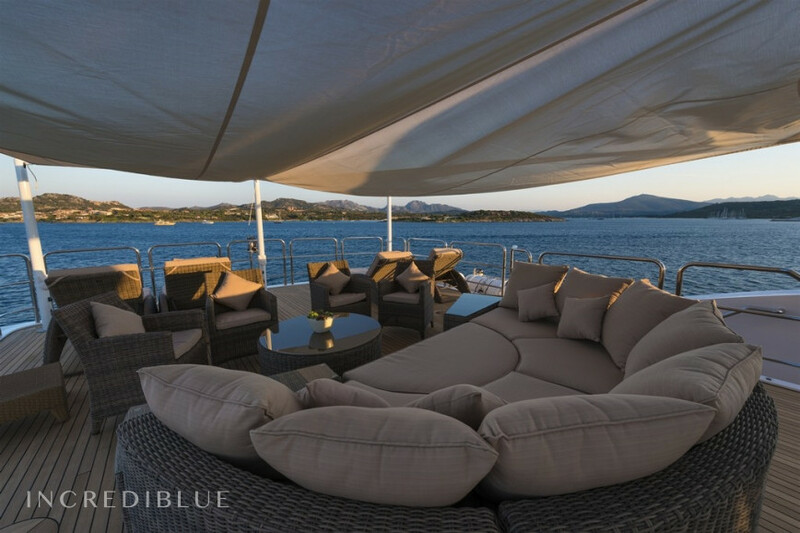 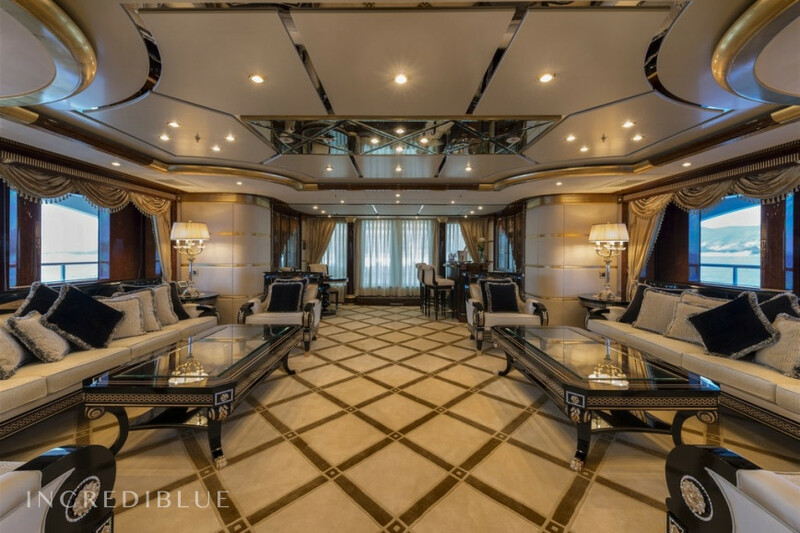 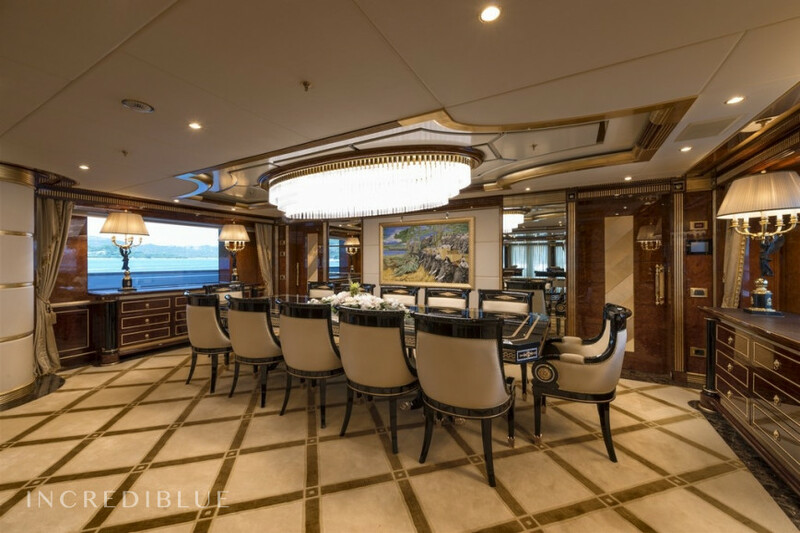 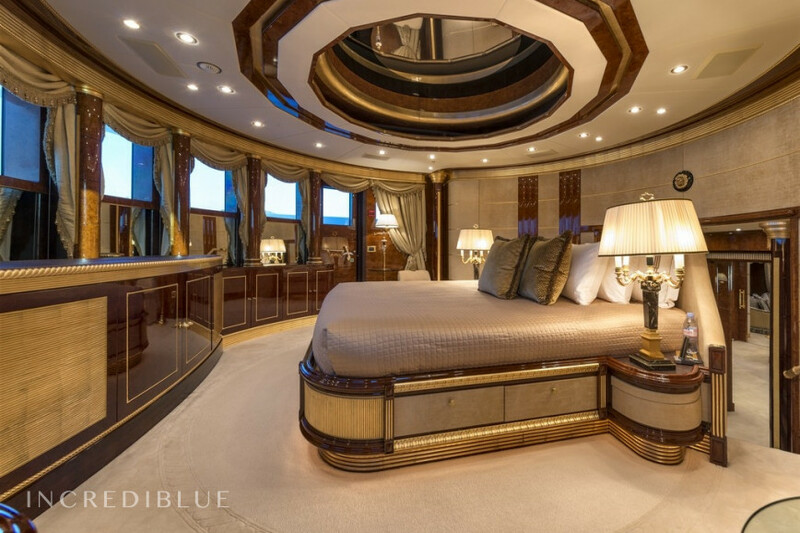 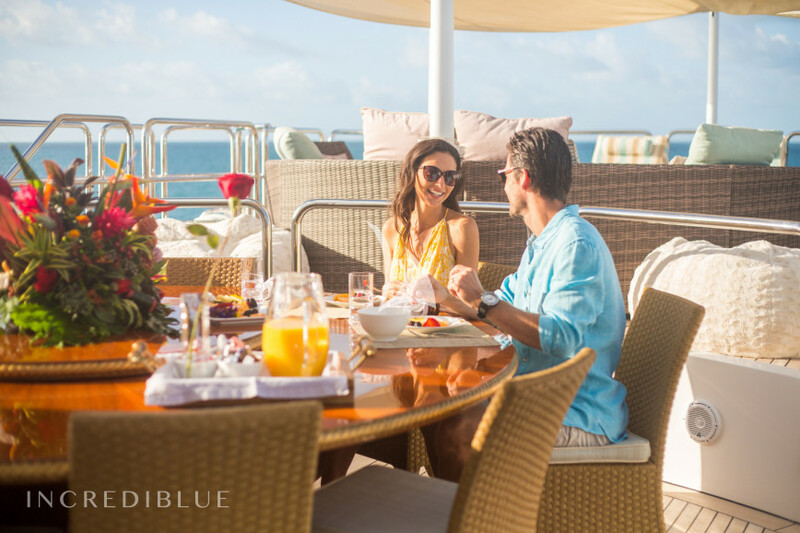 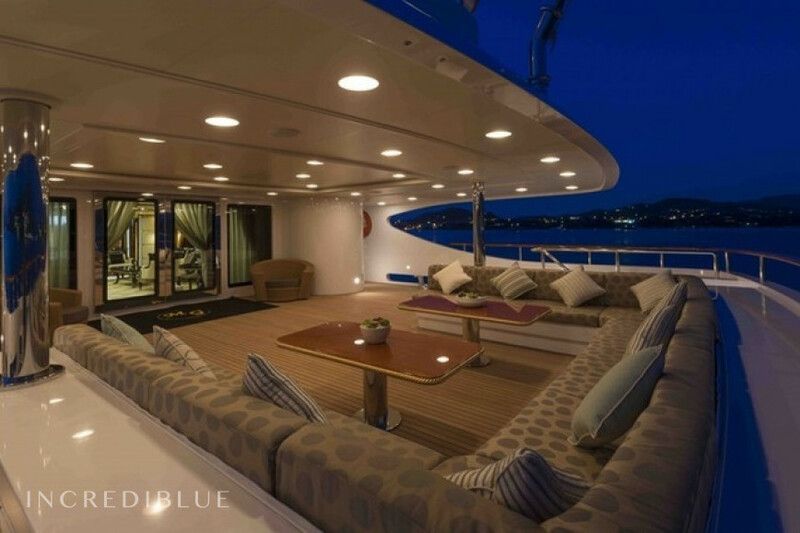 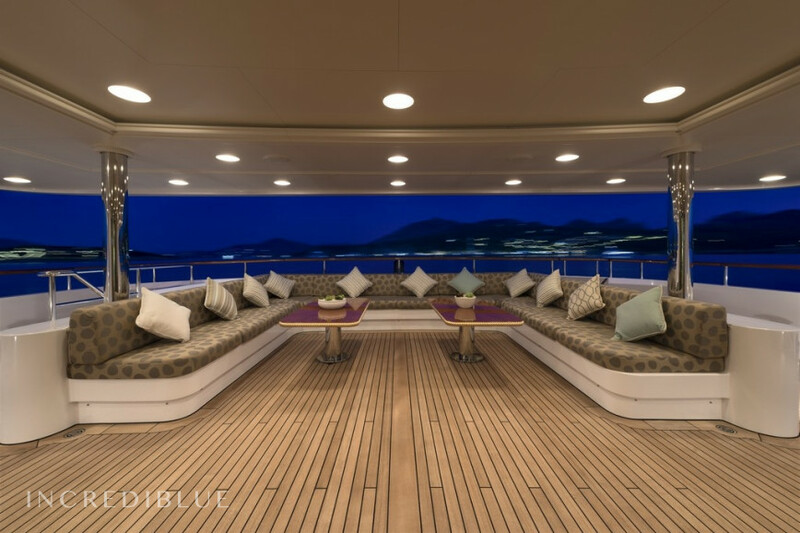 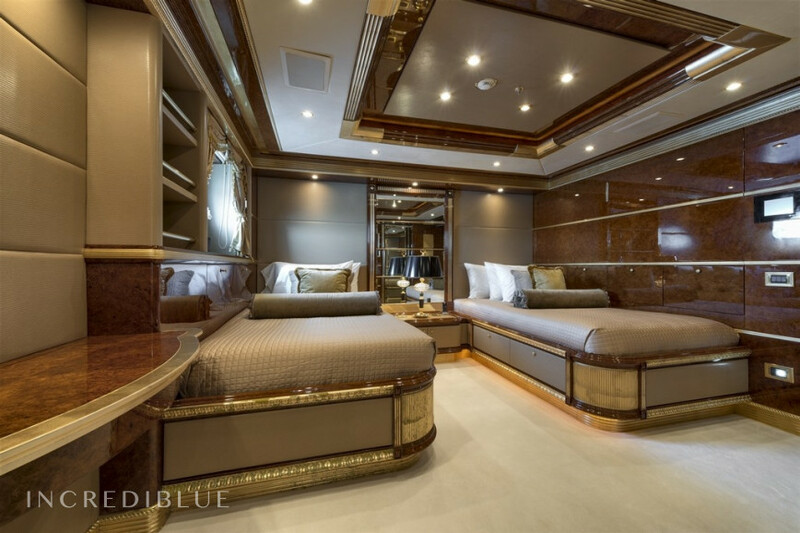 The incredible superyacht offers accommodations for 12-14 guests. 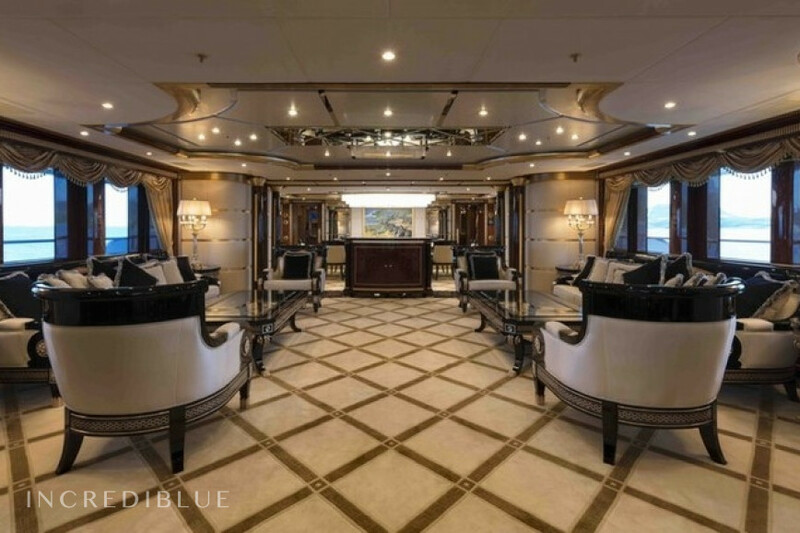 The owner’s main deck three room master suite’s private salon, A VIP cabin on the bridge deck, Three double cabins, Two of which have a Pullman berth, and One twin stateroom on the lower deck. 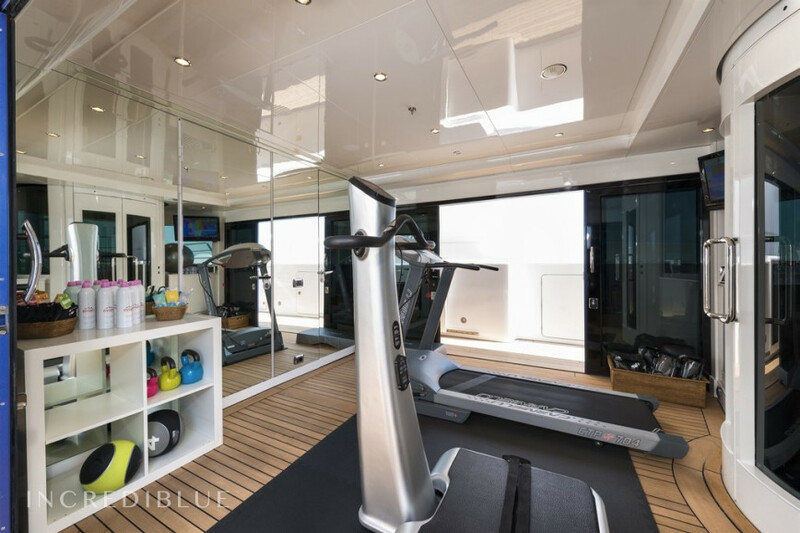 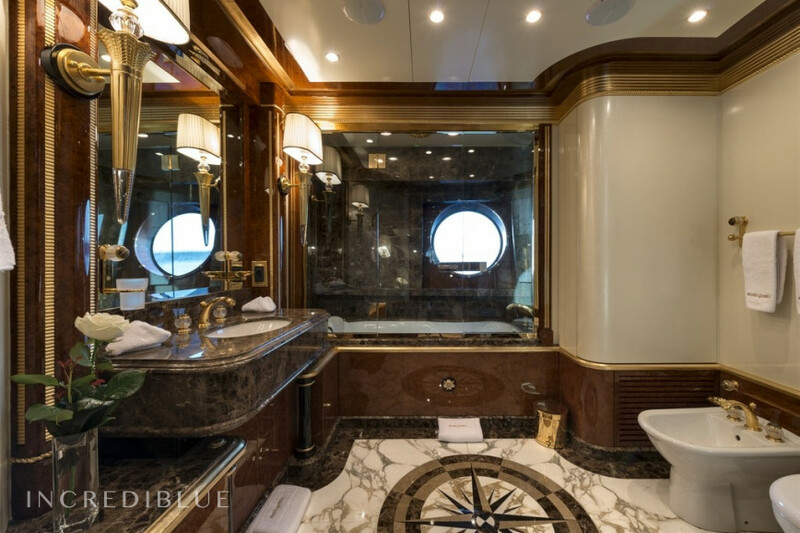 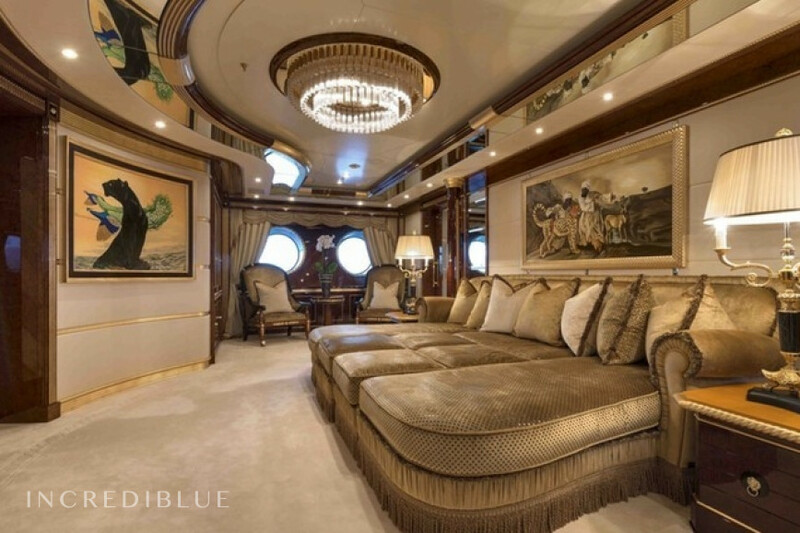 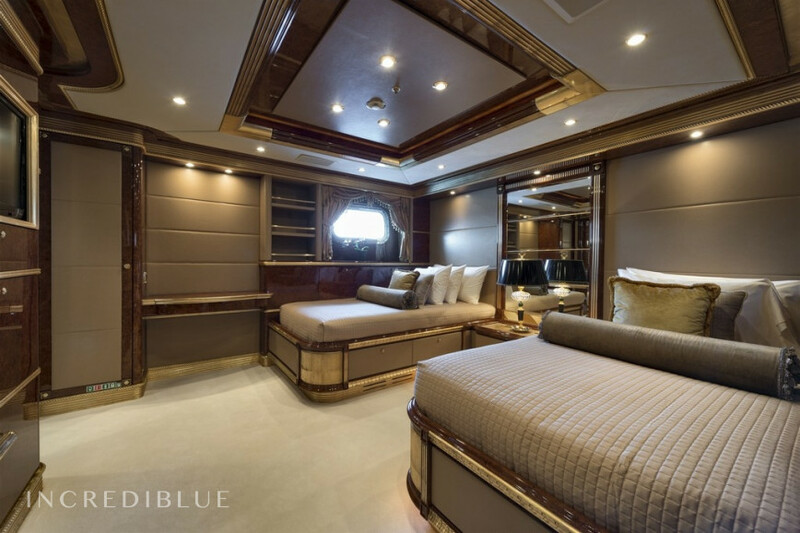 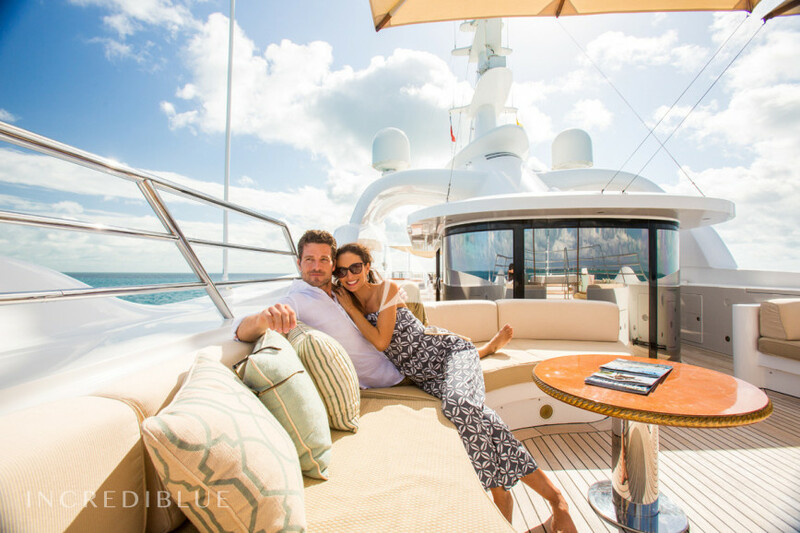 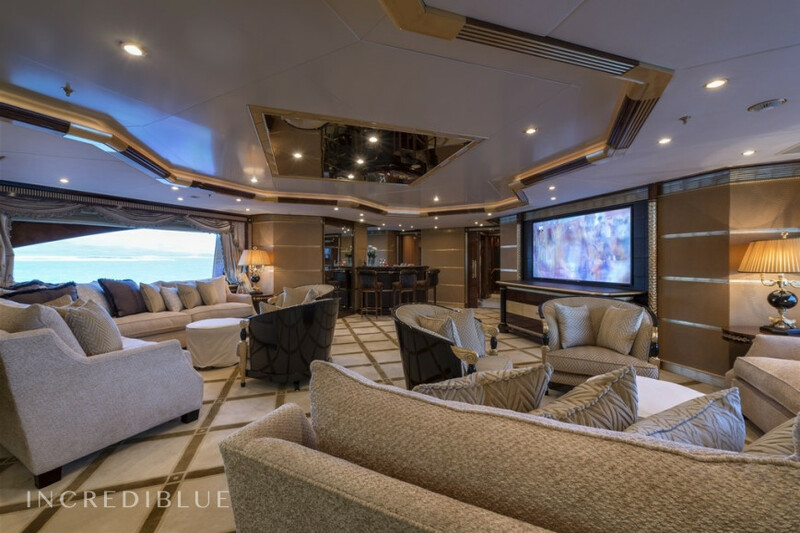 Situated forward on the main deck, the master suite private salon is comprised of a dressing room, office area and large lounge area, his and hers bathrooms and a raised bedroom with doors that open to the exterior foredeck area. 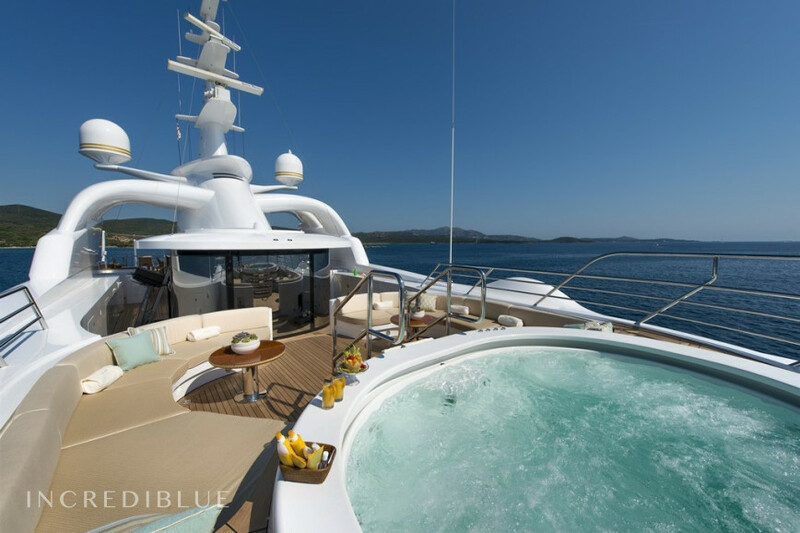 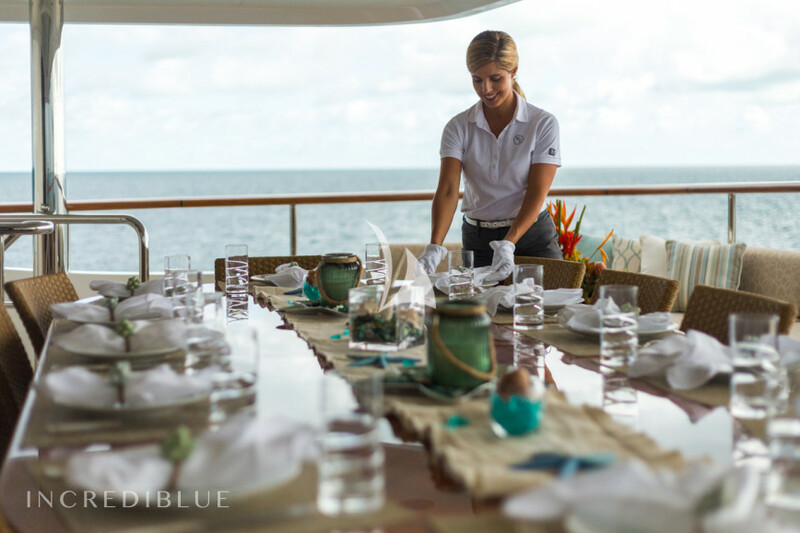 She is also capable of carrying up to 16 crew to ensure a relaxed and luxury experience. 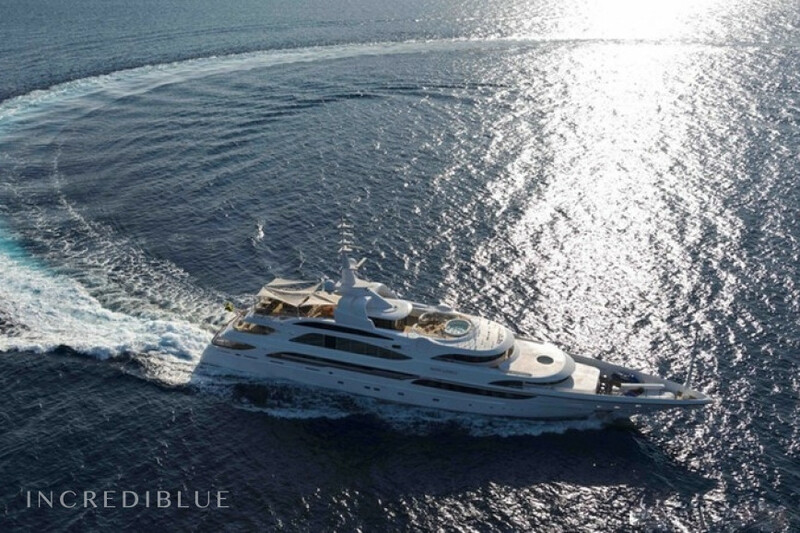 Engine power 2 x 1800hp MTU 12v4000 H.P. 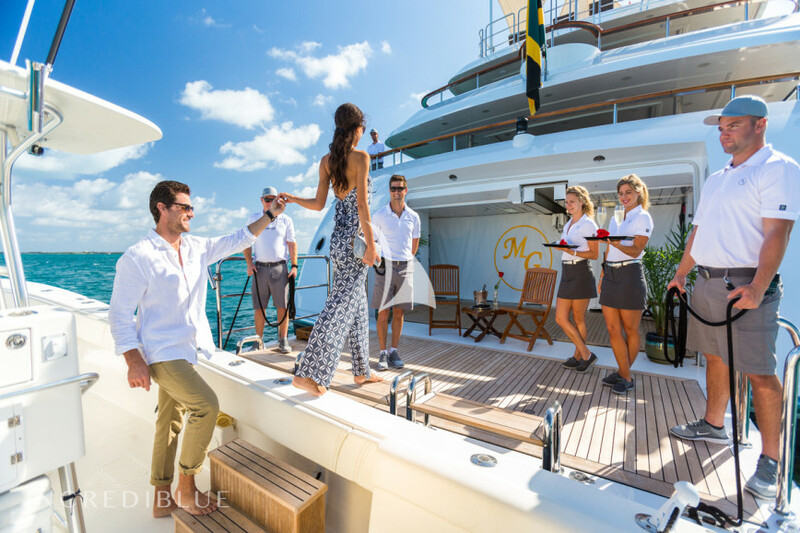 Rate includes yacht and crew and use of recreational toys. 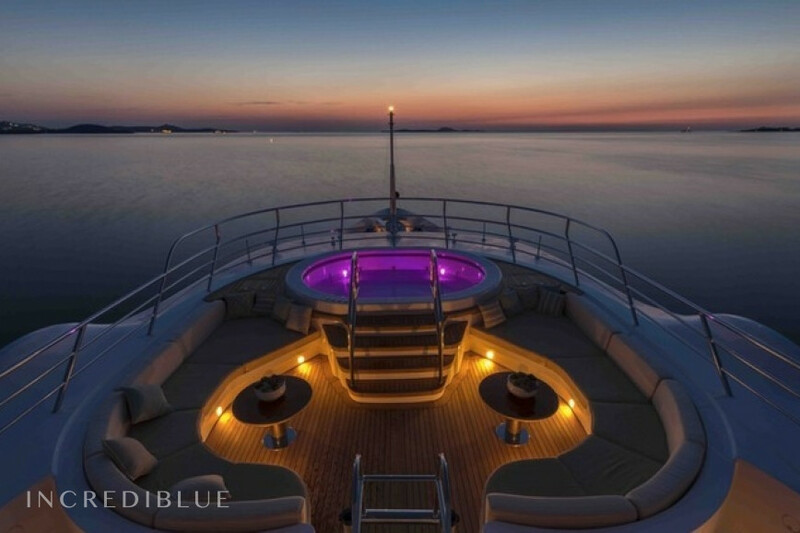 All expenses for food, bar, dockage, fuel, etc. 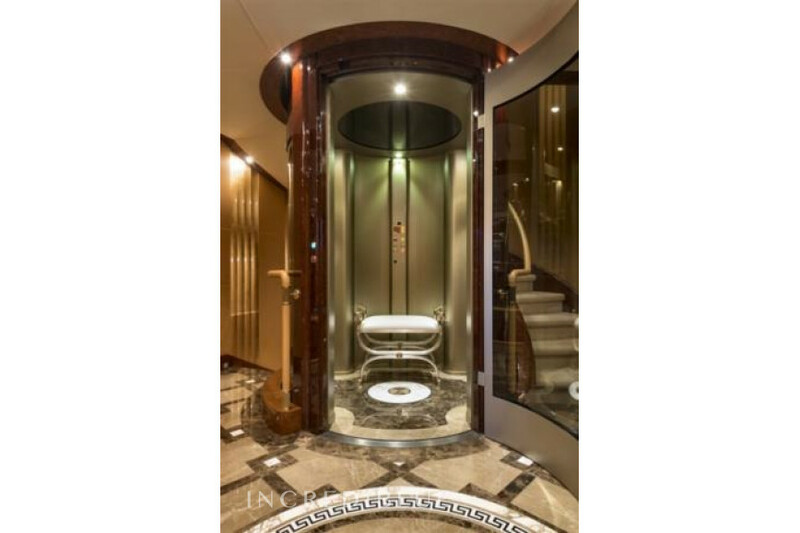 are additional.